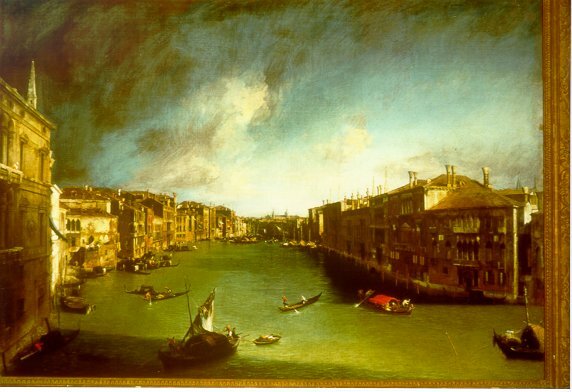 Up to the february '99 there will be in Rome an Exhibition in Palazzo Venezia dedicated to the great Venetian Art of '700. The purpose is to create, once again, athmosphere of the great artistic and Venetian magnificence of '700 by exposing about 180 works ( paintings, devached frescos, furnitures, and chinewares ) almost all of them coming from the Museo del Settecento in CàRezzonico, in Venice, which lodges, at present, an Exhibition about Giacomo Casanova. Cà Rezzonico is a marveluos palace which was projected in the middle of '600 by Baldassarre Longhena and was finished about after one century bya Giorgio Massari. The palace, according to the taste of that age, was decoureated with great frescos, made even by Giovanbattista Tiepolo. Then indoors was created a museum of XVIII century wich had a lot of works of art that were created in that happy and particular historical moment. In eighteen century Venice had an historical and economic conjunture which let it live in peace from 1718 until 1797, when it capitulated to Napoleon's forces. This long moment of peace permited to the city to concentrate itself towards cultural and artistic objectives. Great rich families had their houses decourated as small palace whith very important frescos, paintings furnitures and chinawares. All this artistic production, even if it was Barocco or Rococò or Neoclassic, has the great colour sensibility which is the basis of Venetian art. The choice of having the exhibition at Palazzo Venezia was not casual. During 1455 the Basilica di San Marco's cardinal, Pietro Barbo, ordered to build the Palazzo Venezia. At the end of XVI century the palace was donated to the Venetian Republic which wanted it to become its Embassy in Rome. So the exhibition tried to bring in this palace the works which seemed to be which the same decorated the Venetian Embassy in XVIII century. Among the works wich are exposed at Palazzo Venezia, we find the invitable views of Canaletto, Canal Grande da Palazzo Balbi a Rialto, and Piazza San Marco, or the landscapes of Marco Ricci Paesaggio con viandanti and of Giuseppe Zais Paesaggio con contadine, and Burrasca di mare. 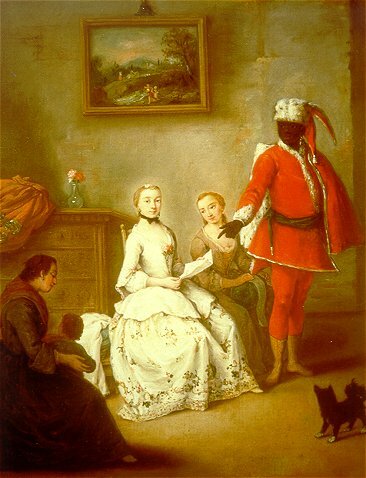 But, perhaps the most interesting of all are the scenes of Venetian life painted in small	pictures by Pietro Longhi, like the famous Lettera del moro and La visita del	prete, and by Francesco Guardi, Il convegno diplomatico. 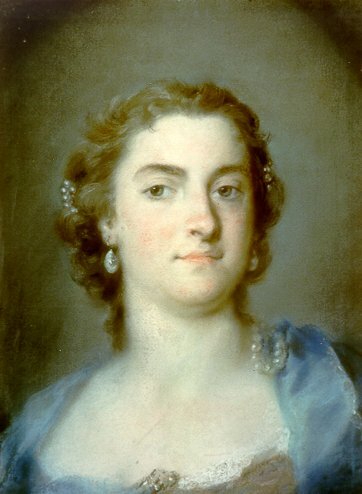 A place is also reserved to the Venetian portraiture with the works of Rosalba Carriera, Il ritratto di Faustina Bordoni Hasse, and Il ritratto di gentiluomo in rosso or with the pictures of Alessandro Longhi, like Il ritratto di Giovanbattista Piazzetta. There are also some works that have a mythological subjet, as Giuditta ed Oloferneby Jacopo Amigoni, or religious subjectes Il martirio di Santa Teodora by Tiepolo. Beside this works we can find many furniture made in very precius material and decoratin by Andrea Brustolon, and other important artisans, and many chinewares made by Cozzi and Vezzi manifactures.